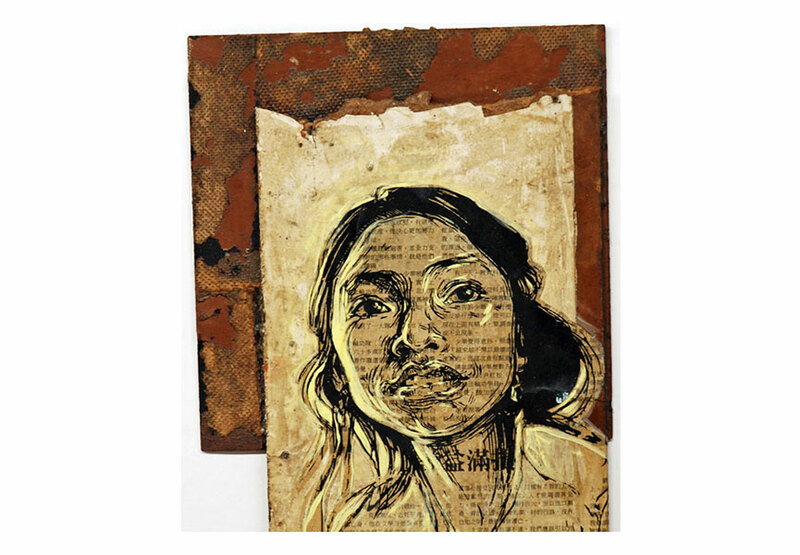 From April 11 through August 24, The Brooklyn Museum in New York will feature the most recent works of the local artist Swoon. 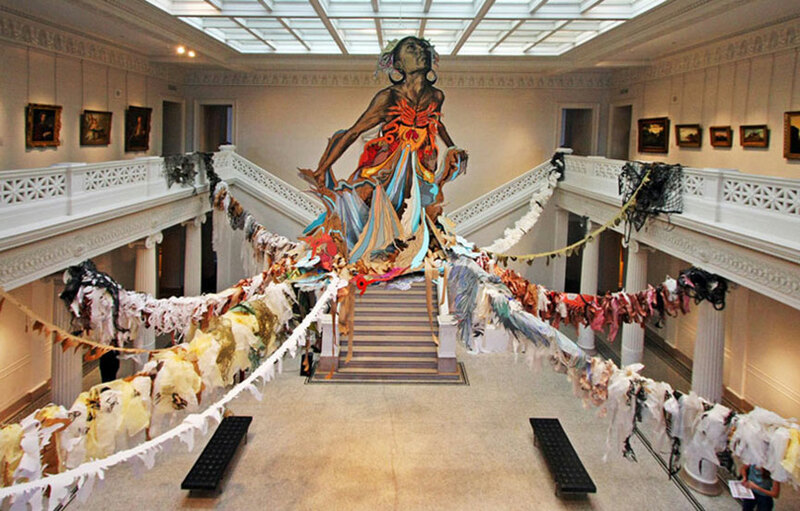 Her upcoming exhibition Swoon: Submerged Motherlands will include a monumental site-specific installation in the fifth-floor rotunda gallery centering on a monumental sculptural tree. The gallery will be transformed into a fantastic landscape, with a tree which will rise into the 20 meter-high dome, with a constructed environment at its base. 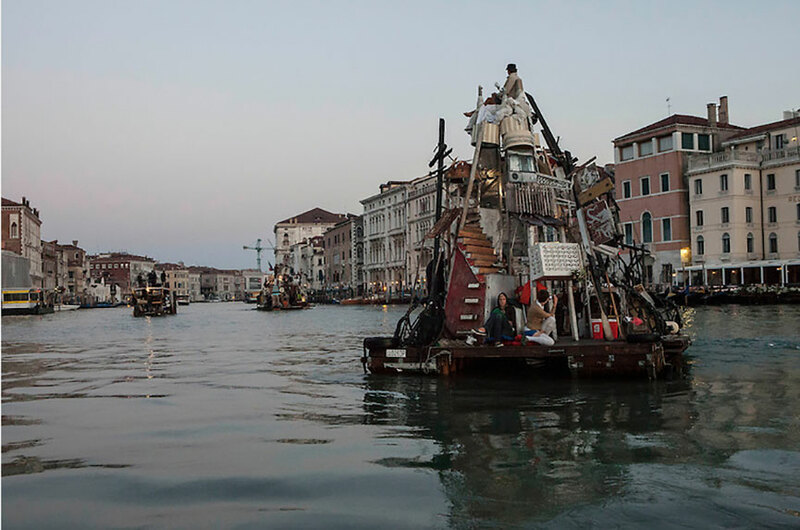 This constructed environment will feature Swoon’s signature prints and drawings, cut-paper foliage and sculpted boats and rafts she sailed on the Grand Canal during the Venice Biennale 2009. 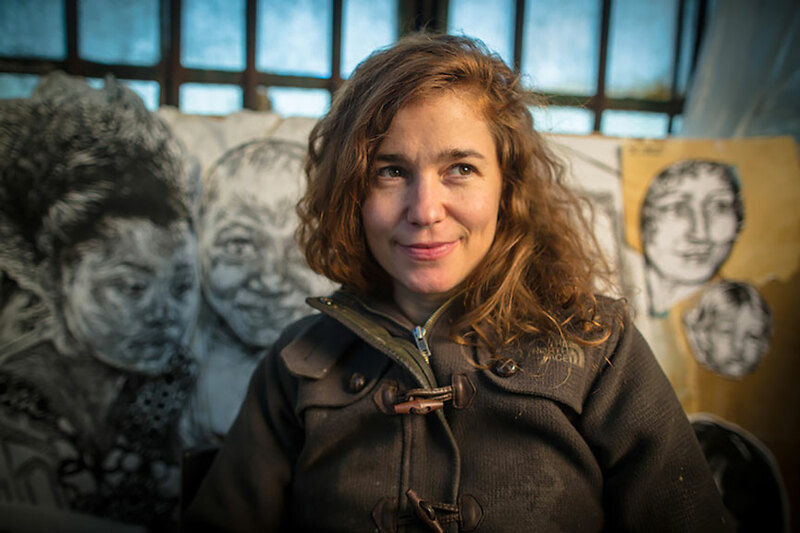 Known for her life-sized, cut-out, wheat paste prints and paper cutouts of figures situated on walls and abandoned buildings in Brooklyn and Manhattan, Swoon celebrates everyday people and explores social and environmental issues. More recently, she successfully deals with large-scale figurative installations as well. Her work is inspired by both art historical and folk sources, and a lot based on the pictures as reference, ranging from German Expressionist wood block prints to Indonesian shadow puppets. When she was nineteen, the woman with the real-life name Caledonia Dance Curry moved to the New York district to become inspired. Three years after her arrival she decided to do two things: Enlist at the Pratt Institute in Brooklyn and start painting some walls. Although in Swoons case, painting might not be the correct terminology anymore. 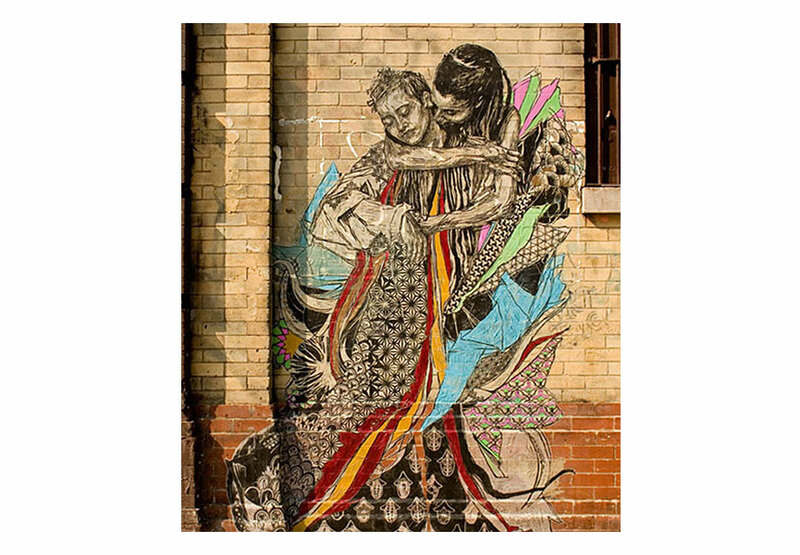 Her street art style is better characterized with wheat-pasting, cutouts and wood installations. Her artistic process is driven by the belief that her art needs to be an immersive, provocative and transformative experience. The images of people she chooses to depict are often family and friends. The locations of these pieces are scattered around the world. Many of them, although old, are still in very good condition because they are often pasted on uninhabited or rarely frequented locations such as abandoned warehouses, run-down malls, bridges or trucks. Her style is thereby unmistakable.